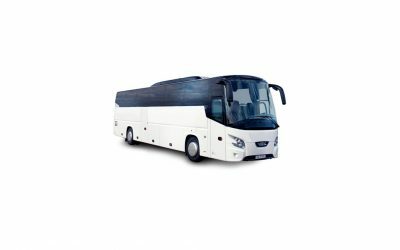 Golden Circle tours are the must-do day trip that you hear everyone raving about when you ask about Iceland! Add to it the experience of stopping at local farms, restaurants, and beautiful landscapes and you really will get the best of Iceland. You don’t even need to rent a car! 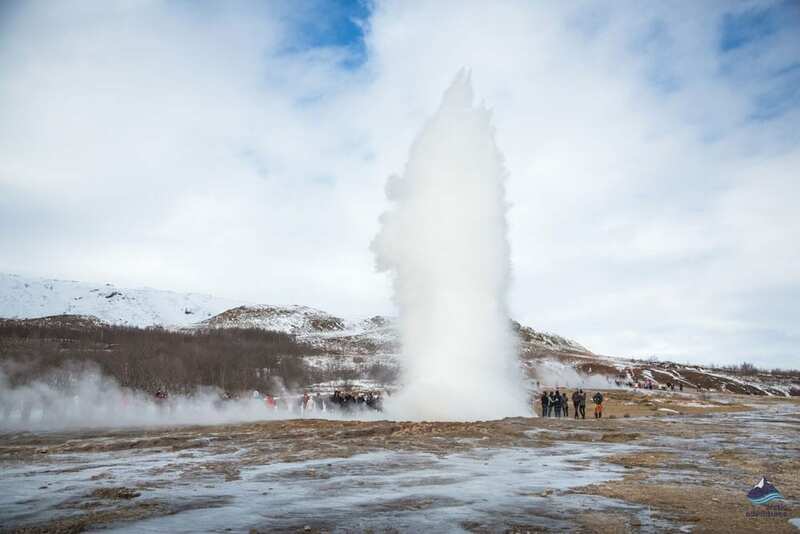 Let’s relish the combination of food and culture, with a show of spouting geysers, sample some local delicacies, explore the Thingvellir national park, travel to some family farms, enjoy the true power of Icelandic nature at Gullfoss waterfall, and so much more on this perfect small-group, day tour, leaving from Reykjavík. 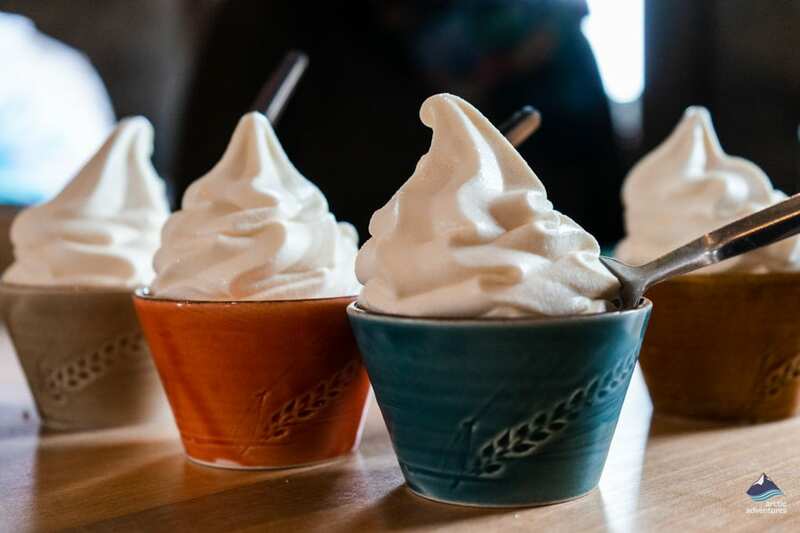 Arctic Adventures has long wanted to make the ultimate foodie tour in Iceland but we wanted it to be perfect – we spent a long time planning and sampling until we knew we had the perfect tour for you! 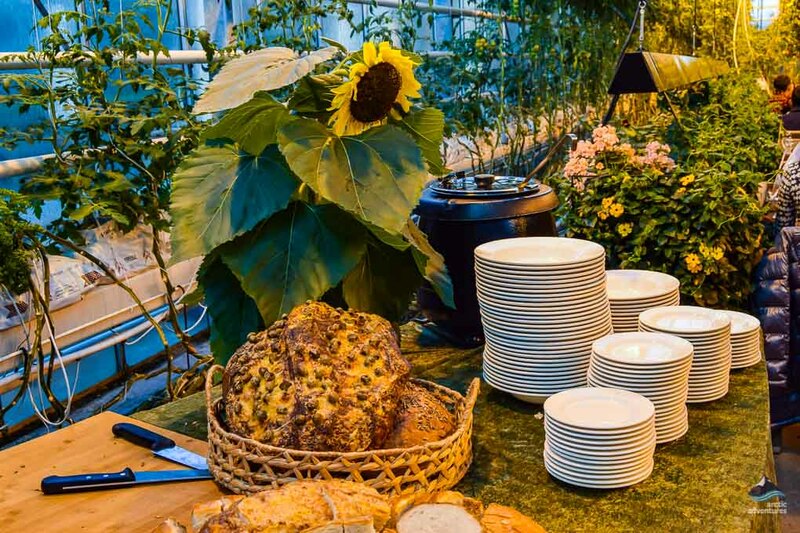 With pride we bring to you the Golden Circle and Local Food tour – The Ultimate Foodie Tour in Iceland. The day starts in Reykjavík and from there we head out to the enchanting countryside. The day is packed with amazing stops and the only thing you need to bring is appropriate clothing and a tummy ready to be impressed. 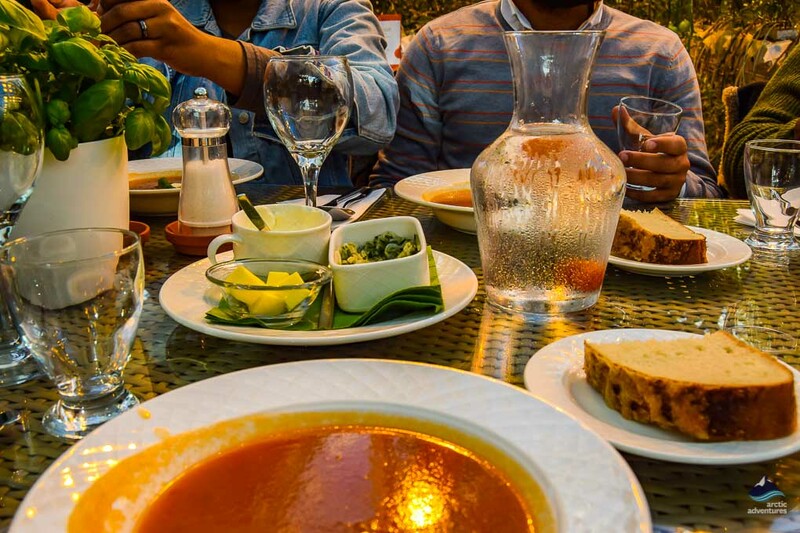 The local guide with expert knowledge will lead you through the whole experience and give you a chance the opportunities of food tasting famous cuisines as well as take you to places you wouldn’t otherwise be able to visit. 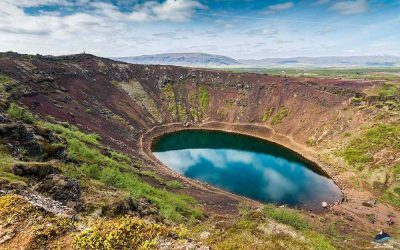 Driving The Golden Circle consist of three stops that form this magical circle of amazing locations and a mesmerizing natural phenomenon. These places are Þingvellir National Park, a UNESCO heritage site known for its outstanding beauty and rich history. 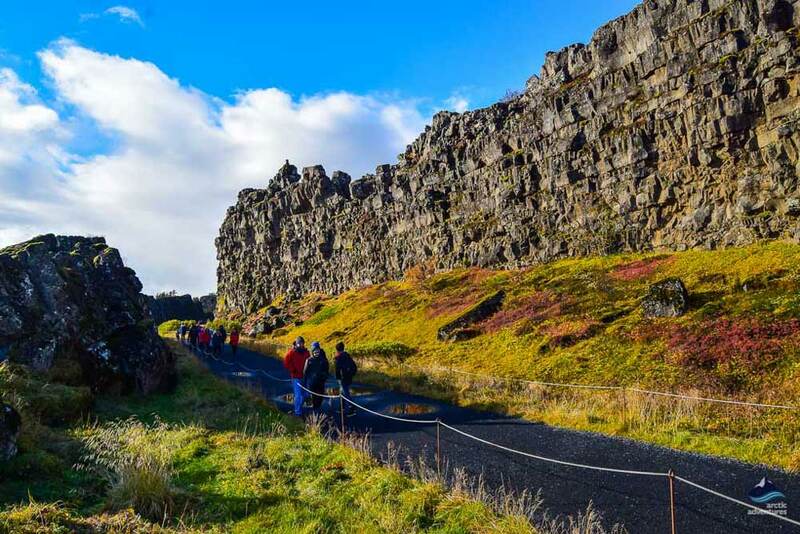 It is the home of the Mid-Atlantic Ridge, where the tectonic plates met and have so beautifully moved apart, you can walk in between the Eurasian and North American plates in just seconds – you can even stand on both at the same time! Þingvellir is where one of the world’s first parliament was founded in the year 930AD – a true totem of the Icelandic nation. This place will not disappoint. Next on the Golden Circle we have Gullfoss, or the Golden Waterfall. This is one of the best waterfalls in Iceland, a place of surreal beauty. The vistas of this place are absolutely breathtaking. The power of Gullfoss is awe-inspiring and you can really breathe that power in when visiting. A golden hue is always present at this alluring location -due to the glacial water- and there’s often a rainbow or two as well. Truly one of the most photogenic places in Iceland! 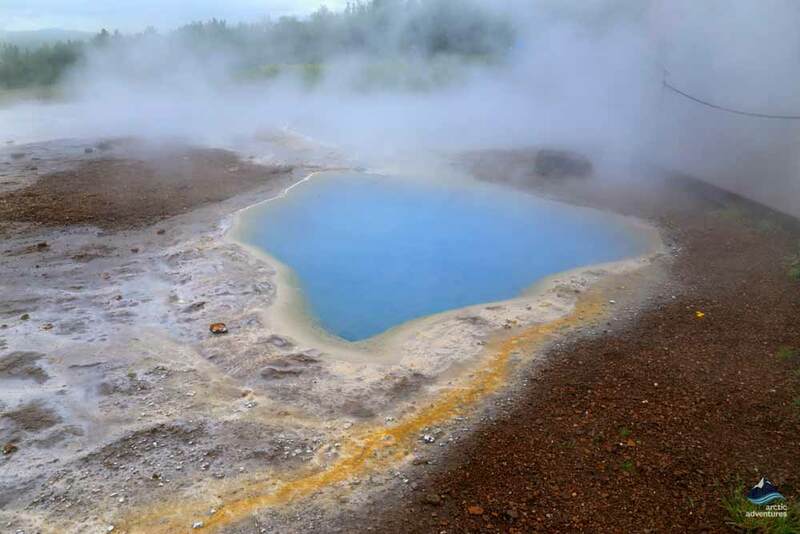 Third and finally on the Golden Circle list we have the Geysir hot spring area, home to the Geysir that all other geysers are named after! The always-spouting ‘Strokkur’- the baby brother, puts on an awesome show every 4-10 minutes, blasting hot water into the sky like a rocket. This is a vision you will remember forever! Now onto the Foodie part of the tour. Efstidalur is a peaceful and charming little horse and cattle farm in the South of Iceland that has been in the same Icelandic family for generations. 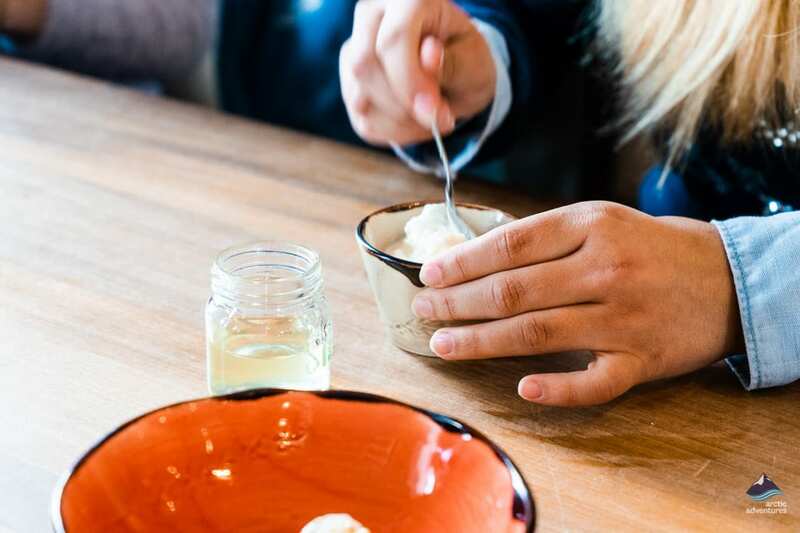 They recently started to share their expertise in making fabulous meat soup and yummy homemade ice cream along with a multitude of other amazing dairy products. As you sit and taste this true Icelandic meal you can see the cows that produced the milk, as they live only one glass screen away. 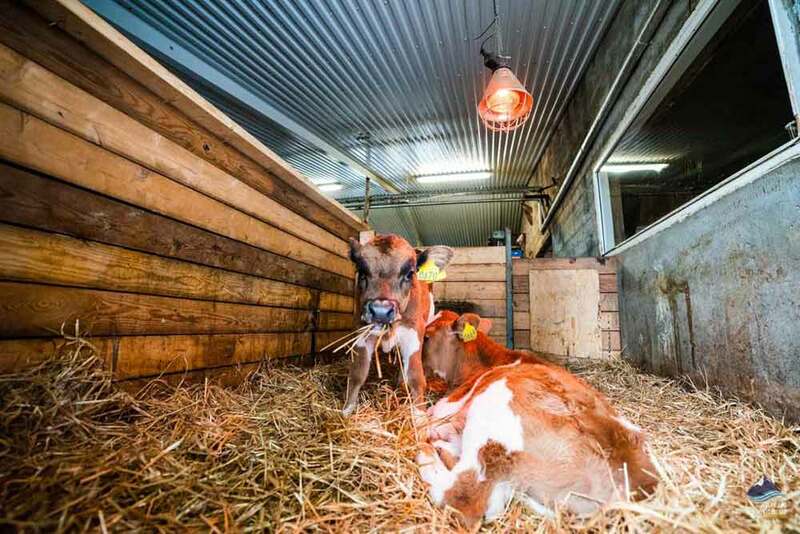 Afterwards, you are more than welcome to go and say hi to these cuties and pet the calves if the season is right. 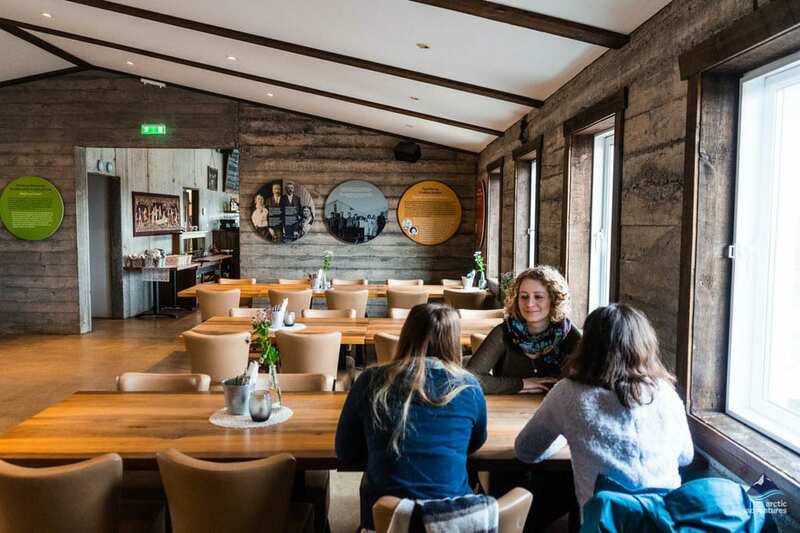 Skjól Camping and restaurant opened in 2014 and was originally intended as a hangout for campers in the area. With growing traffic to the area, Skjól Hostel opened. Today the restaurant and bar have a seating for 40 people in a very relaxing atmosphere. 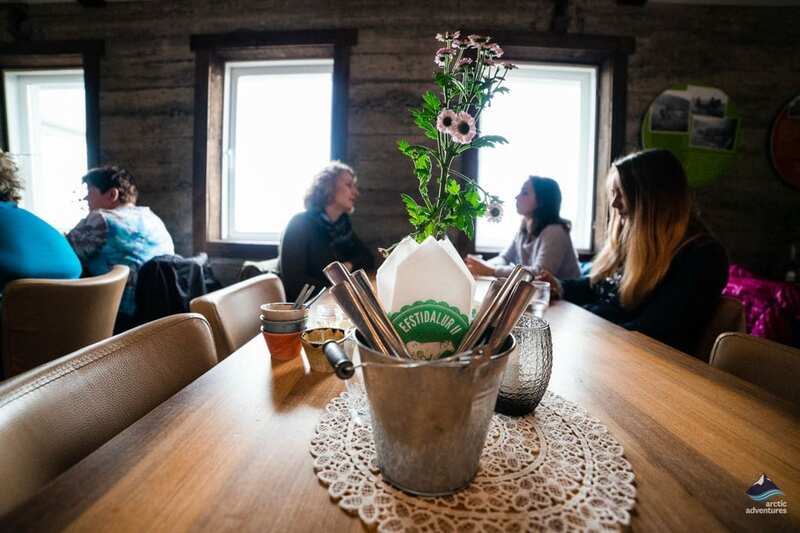 On the restaurant’s menu, you can find a variation of Icelandic delicacies such as fish, ribs, Icelandic lamb, chicken and homemade pizzas. At skjól, we will taste delicious Icelandic tapas-style sandwiches with smoked lamb, camembert cheese, cured salmon and haddock. 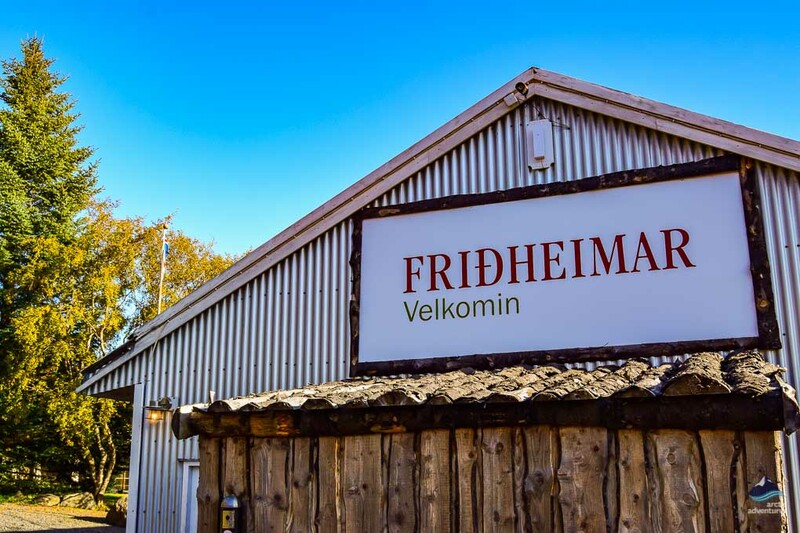 Next on the list, we will spend some time in Friðheimar, an interactive tomato greenhouse experience! 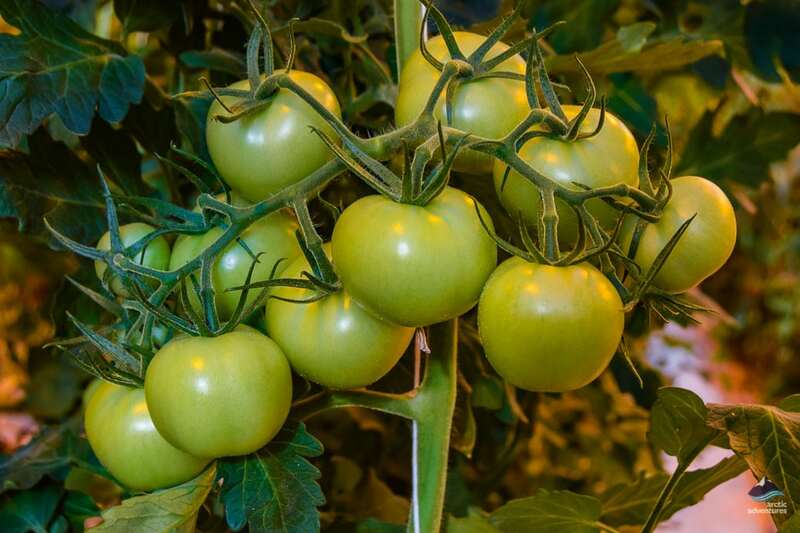 You will gain an insight into the processes of greenhouse horticulture, and get to enjoy the special experience of entering a greenhouse with its fragrance of tomato plants and then have a look around the equestrian center. You will get a tour of the greenhouse and the opportunity to taste some famous tomato soup and homemade bread, inside the greenhouse! Last but not least, the tour concludes with some more Icelandic delicacies, pönnukökur (Icelandic pancakes) and kleina at Ingólfsskáli! 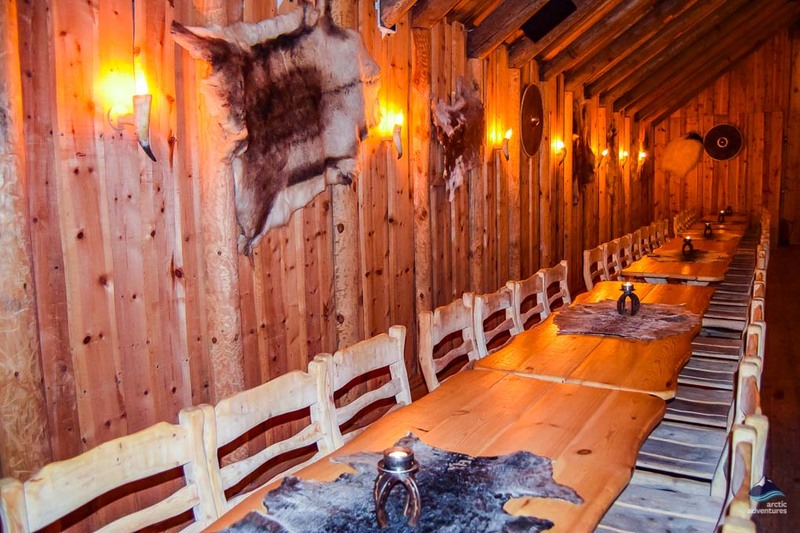 Ingólfsskáli is designed in the style of the original turf-roofed longhouses and provides a unique yet authentic Viking diner experience. 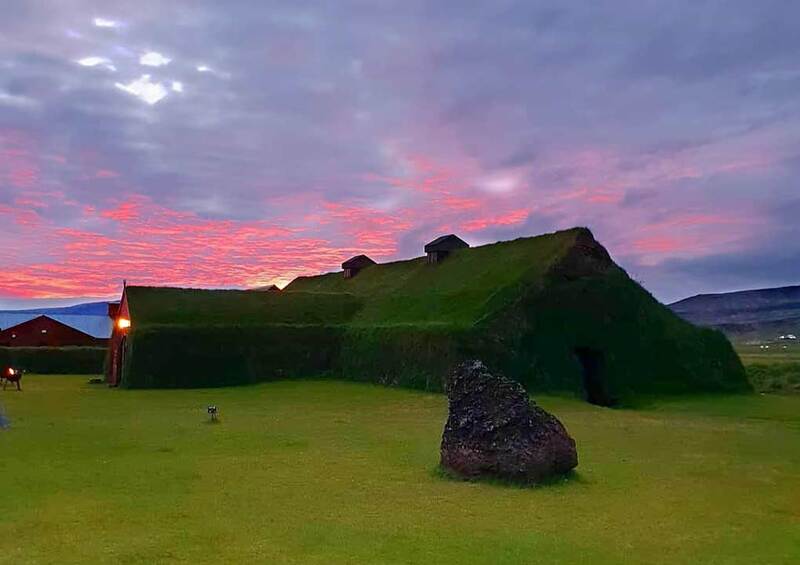 Ingólfsskáli is an unusual and impressive reminder into Iceland’s past, named after Iceland’s first settler, Ingólfur Arnarson. Ingólfsskáli is located at the foot of Ingólfsfjall (Mt. Ingolfur) a spectacular scenic landscape, amongst the southern Iceland mountainscape. 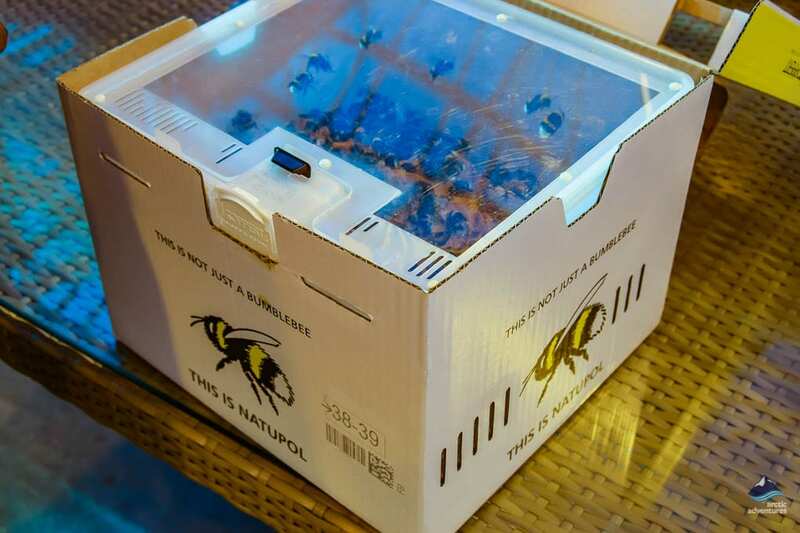 Food is sourced from nearby farmers to assure the quality of ingredients and to also support the local community. You will have the chance to get a tour of the turf house and learn about the history of the Vikings from the experts! 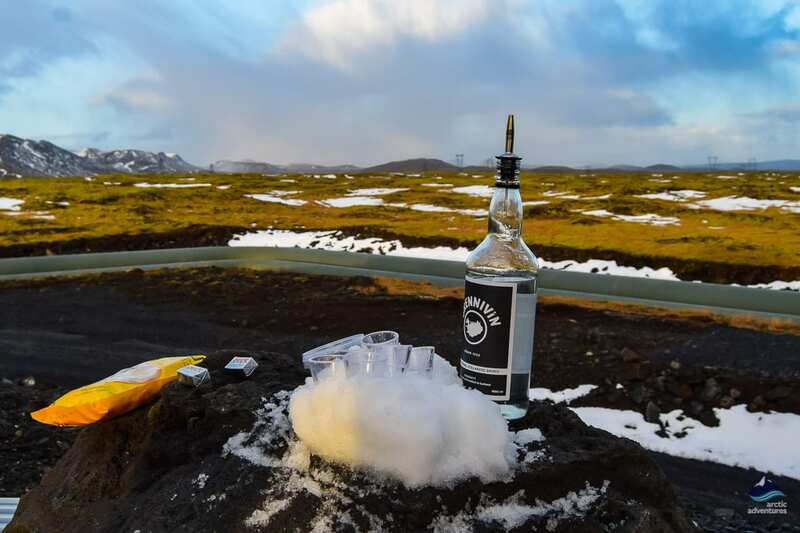 Some of the other tastes along the way will include Brennivín and dried fish which are old Icelandic delights, ones that an Iceland visitor cannot allow to pass. You will enjoy these at a surprise location! You will return home at approximately 7 pm with a belly filled with goods and memories and stories to tell for a lifetime! Pick-up Information Pick up starts at 09:00 am from your accommodation or a nearby authorized meeting point in Reykjavik. Picking everyone up can take up to 30 minutes, your patience is much appreciated. What food do you eat in Iceland? Iceland is well known for its food and delicacies. Some of the most popular things to eat are Skyr, Pylsur (hot dog), Fermented Shark, Lamb and of course Seafood. 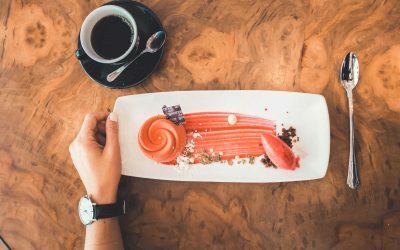 The 11 best places to eat in Reykjavik or The best food on the Golden Circle may give you some ideas.